Phil Miller (Will Forte) is now the "world's greatest everything" in the new trailer for Fox's upcoming sitcom The Last Man on Earth, debuting Sunday, March 1 at 9 PM ET on Fox with the series premiere "The Elephant in the Room". Since he is seemingly the only survivor of a global apocalypse, by default, Phil becomes the "world's greatest" handyman, athlete, lover, driver, collector, bowler, shopper, mixologist, marksman, plumber, slugger, daredevil and, most importantly, survivor. Created by and starring Will Forte (Nebraska, Saturday Night Live) and directed by Chris Miller and Phil Lord (The Lego Movie, 21 Jump Street), The Last Man on Earth is a new single-camera comedy about the life and adventures of the last man on earth. Phil Miller (Forte) was once just an average guy who loved his family and hated his job at the bank - now he's humanity's last hope. Will he ever find another person alive on the planet? Would hoping that she is a female be asking too much? In addition to the trailer, we also have the first poster from TV Line, which shows Phil putting up a sign that shows he is alive, and he hopes anyone else is too. 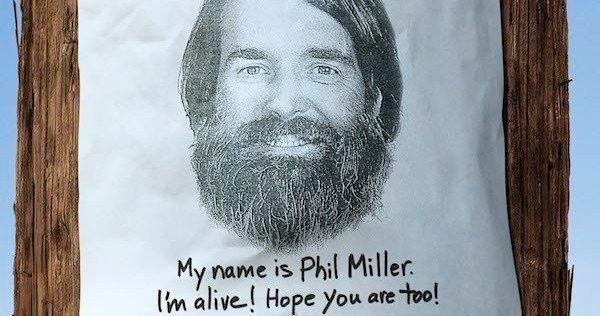 The poster also shows that Phil is based in Tuscon, Arizona. The series also stars January Jones and Kristen Schaal as two women that Phil eventually runs into, along with Mel Rodriguez and Cleopatra Coleman. Check out the new trailer and poster below before The Last Man on Earth debuts March 1.